A vest that unites everything you need – KLIM’s Arsenal Vest! A comprehensive transport solution for off-road riders with intelligently designed pockets and a perpetually ideal weight distribution – the Arsenal Vest is a true all-rounder! That’s what distinguishes the Arsenal Vest – its flexible weight distribution. Unlike a backpack, the Arsenal Vest takes the weight off your shoulders and distributes it all around your torso. Without limiting your mobility! Everything on hand! 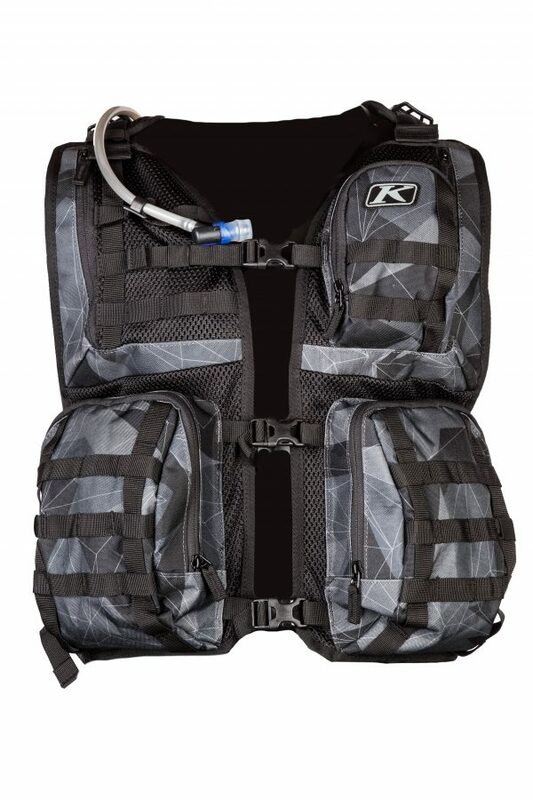 In addition to the six individual compartments, which offer plenty of space, even for extensive tours, the Arsenal Vest is also equipped with the KLIM® TOOL PACK, an integrated set of tools that can easily be removed when needed, and our bespoke 3-litre drink system KLIM® HYDRATION BLADDER. The Arsenal Vest adapts to your needs: With adjustable straps on the shoulders, the front and sides (left and right), the vest can be adapted to every biker’s individual body shape and thus ensures a perfect fit and ideal weight distribution. 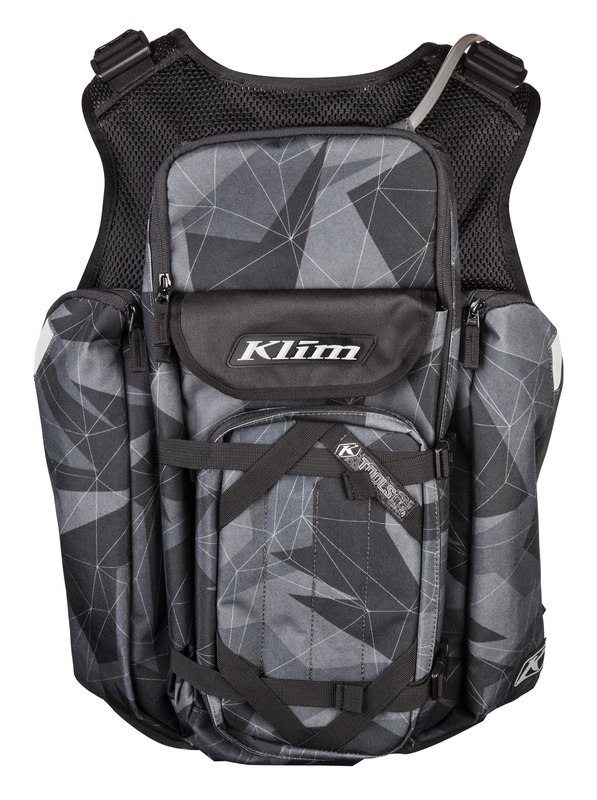 Sufficient storage space, flexible weight distribution, individual adjustment, effective ventilation, a removable tool kit and an integrated drink system: the KLIM Arsenal Vest is a phenomenal all-in-one package that takes care of all your transport needs!